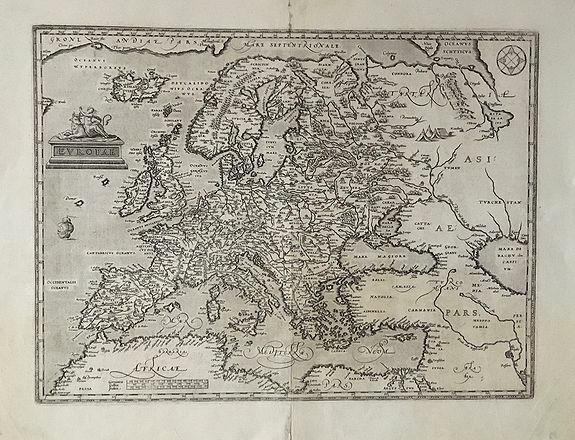 Old map by ORTELIUS -Europae. Size: 13.4 x 17.7 inches. Condition: In good condition with some minor repairs to the verso (visible at top centerfold in the margin area). Bright, clean image on supple paper. A cornerstone map of Europe with many decorative and interesting elements. Several fictitious islands in the Atlantic are among the cartographic misconceptions of the age that this map exemplifies.